DRM (Digital Rights Management) is intended to protect media from being played in an unauthorized manner. However, more often than not, it fails to serve the purpose. Many people in the content industry are fully aware that it is not possible to stop media piracy. They view DRM as a method to slow down the pirates. The panel discussion on anti-piracy measures at the HPA 2011 Tech Retreat compared this to using a key to lock a car, even though a thief with proper equipment could still steal it. High definition content is valued by the content owners, resulting in extra efforts being taken to protect them from being pirated. For example, while standard definition Netflix streams play on a variety of platforms, high definition streams require more secure systems with protection across all stages of playback. Similarly, not much effort has been taken to stop the usage of open source DVD decrypters / decoders, which mean that the consumer doesn’t need to invest in a licensed player to play back DVDs. Open source software like VLC can play back protected DVDs without any issues. Blu-rays, on the other hand, with their high definition content, are yet to be hacked enough to be played back with full experience using open source tools. There is a constant tussle going on between the decryption tool makers (who enable the Blu-ray disc content to become unprotected) and the Blu-ray publishers who don’t want this to happen (and try to find new ways to encrypt their Blu-rays without breaking player compatibility in the field). The net result is that almost every new Blu-ray fails to play back on a player if it doesn’t have the latest firmware updates. This is obviously a drawback for consumers who just want to put the disc in the tray and enjoy the movie. In today’s piece, we will be concentrating exclusively on Blu-rays. A look at the market trends seems to indicate that online streaming services like Netflix and Hulu are overtaking conventional media distribution channels such as DVDs and Blu-rays. However, this doesn’t mean that optical media will die out anytime soon. Currently, a large number of consumers don’t have reliable enough Internet access to guarantee a good experience with premium streaming services. 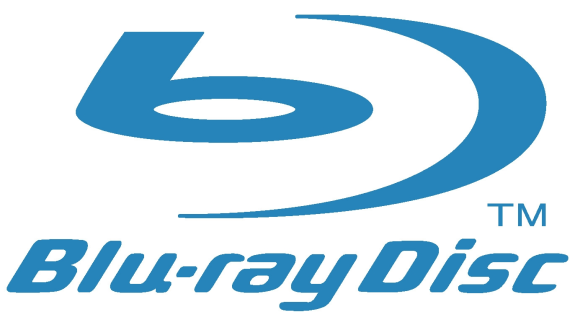 Market research indicates that Blu-ray sales have indeed shown an annual increase. This growth can be attributed to the low cost of Blu-ray players (some could be found for as low as $49 last November) and the rising number of $5 Blu-rays available in the bargain bins of various big box retailers. 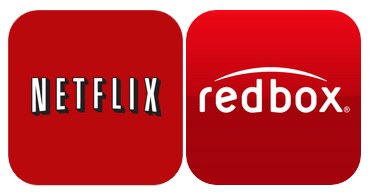 Blu-ray rentals from companies such as Redbox have also shown an increase in popularity. The BDA sees Blu-ray shipments growing for the foreseeable future. However, they have also realized that the future of the Blu-ray industry lies in eventually adapting to the cloud / Internet infrastructure. The UltraViolet initiative is geared towards this. We will look at this in detail later in the piece. The rise of VoD services will definitely threaten Blu-ray, particularly because of the ease of use associated with them. In almost all cases, one can start watching a movie on Netflix or Vudu with a few clicks. Compare this with current Blu-rays where users have to put up with a number of trailers and copyright messages before the movie starts playing. It is no wonder that consumers with high speed Internet often prefer services like Vudu over Blu-rays. Given this situation, Blu-rays continue to come with pesky DRM mechanisms. The latest in this lineup is Cinavia. Before going into its details, we will have a brief overview of all the DRM mechanisms involved in Blu-rays. I tried BD-Live, once. An hour later (had to update the player ROM and sit through random crashes) I was treated to the crappiest, slowest interactive experience I'd ever seen. It was like a flash website from 1999 running on a 100MHz Pentium, with tiny text that wasn't legible on my TV. I was like "damn, these people just don't get it". What they don't get is that we just want to watch the whole damned thing - that's it, that's all. About 10% of us might watch a "making of" short, and about 0.5% of us are geeky enough to watch the whole movie with an annoying director voice over. We don't want to play a game, or have a click through adventure - we want to WATCH THE FEATURE. I still have yet to purchase a blu-ray player. They are dipping below $50, finally, 3 years after that milestone should have occured. This is of course because blu-ray was the inferior format compared to HD-DVD. If HD-DVD had "won" the format war there would be 5-10 times as many HD discs sold by now. Burners would be $20 and there would be 100 times more burning going on. When Avatar came out my Dad went out and got the blu-ray, totally stoked that he'd get to see it in HD. Sure enough however the disc didn't play! He calls up his programmer son and asks WTF? I look into and and he needs to upgrade his firmware....he will never buy a blu-ray again. > Probably one of the best to get a PS3. Easy firmware updates. Probably one of the best to get a PS3. Constant, time-consuming, daily firmware updates.